Its been years since I first read this book, and i still manage to read the series over and over and get the same rush of emotions. Its powerful, its thrilling, and it just keeps getting better. Once your halfway through the next time you put the book down you'll find you've finished the book, I read it till one in the morning and started the second book. Its seriously enthralling. The characters melt into one another, each are unique and realistic, and all work together. Max is the main character, and she will take you on a journey you will never forget. This is one imaginitive rollercoaster that will leave you on the edge of your seat. Check out the catalogue entry here, and get posting! Who says you have to stick to your genre? Break the mould and try something out of your comfort zone. Romance addicts- try the suspense of a mystery. Mystery junkies- dip your feet into the subtle and not so subtle intrigues of romance fiction. Just click the title to view each book on our catalogue. Alternatively, you can browse our with our advanced search on our website. Click the title to view our catalogue entries and reserve items! 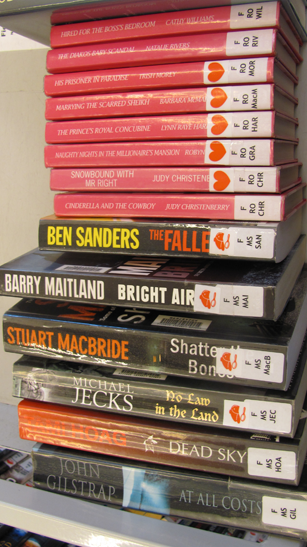 Recent books returned to Camden Council Library Service- Find out what others are reading! Available at Narellan and Camden libraries, the romance section features a Mills and Boon subsection with all your juicy favourites. 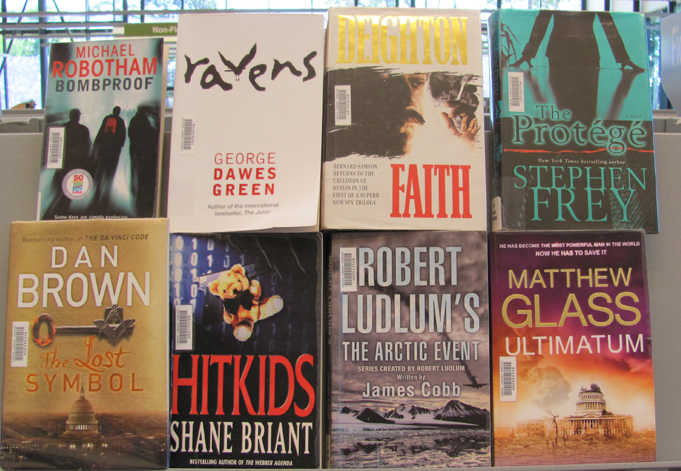 Check out ten popular titles below (Click the title to view and reserve)! These are the stories that we want to curl up when it's raining, secure in our homes with time to spare. Set in worlds that are so similar to our own, we get lost in them quickly, and the simple, meaningful stories that take place there. General Fiction scapes a vibrant landscape through the experiences and paths of human life. Check out this top 10 for 2011 so far. 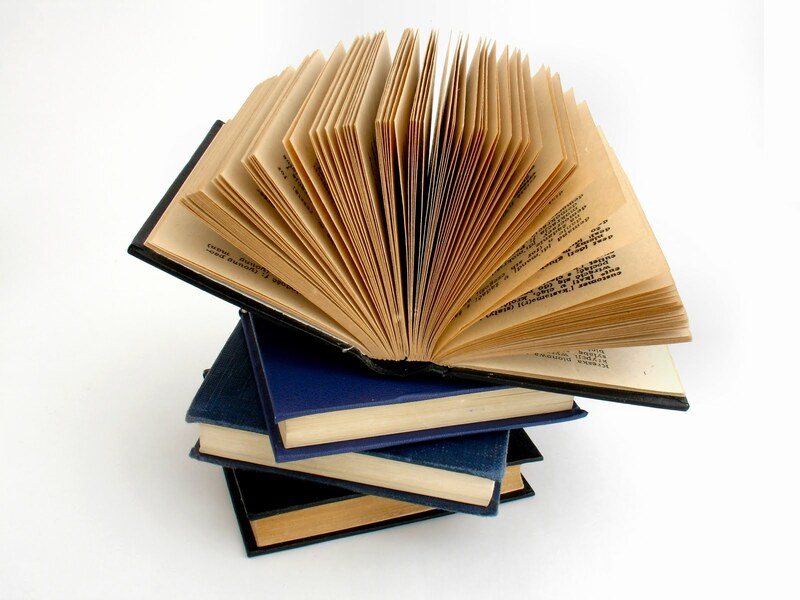 Click the title to view Camden Library catalogue entries and to place a reservation. Click on the book to view the catalogue entry and place a reservation. 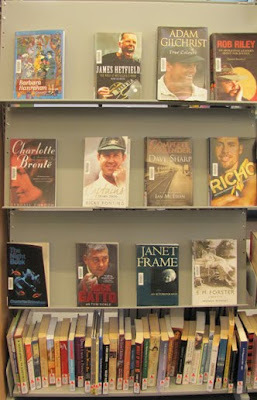 New fiction, biographies, Childrens, Youth, DVDS and more. Check out What's New, our monthly brochure of brand new items at the library. Have you found out about our downloadable audio books yet? Clipper DL is free for our library members, allowing you to download audio-books to your home and devices. 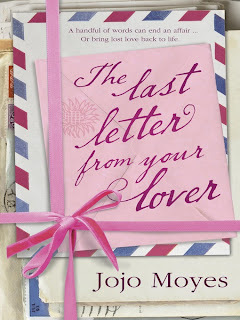 One Clipper title, The Last Letter from Your Lover by Jojo Moyes, has won the RNA 2011 Romantic Novel of the Year Award. The Romantic Novelists’ Association has announced the winners of this year’s Pure Passion Awards at a champagne reception in London. 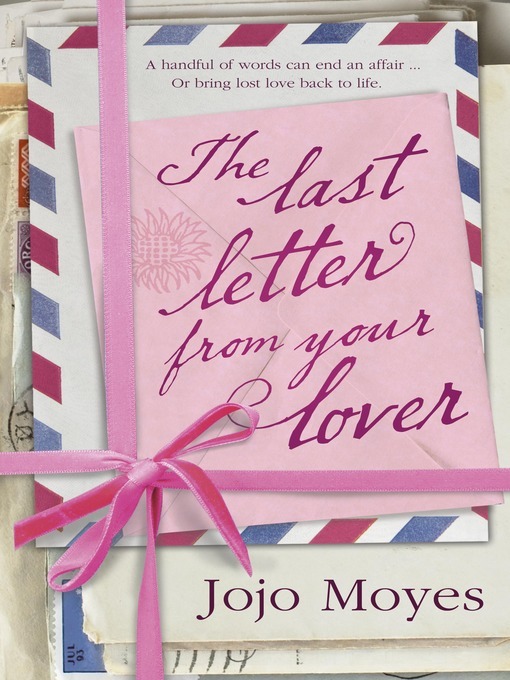 Winner of the 2011 Romantic Novel of the Year – recognising the best of the year’s novels exploring the deep mysteries of the human heart – is Jojo Moyes for her book The Last Letter from your Lover. The RNA Pure Passion Awards celebrate the very best in romantic fiction, encompassing the breadth of the genre. Johanna Lindsey is a very popular romance novelist. She’s had countless rewards, and warm recommendations from readers in the US, UK , and Australia too. Unfortunately, The Perfect Someone failed to live up to the reputation. This is probably the first negative review on this blog, oh dear! That Perfect Someone follows the life of Julie, an heiress with a weak and unable father, who suffers from an arranged marriage. Set in a generic, vaguely historical context (there are pirates? ), Julie intends to have the marriage voided, as her fiancé to be has been missing for over nine years. As it happens, said fiancé turns just before she can get it done, Richard returns under the guise of Jean Paul, a French buccaneer oozing danger and charm. The plot was incoherent and poorly structured. 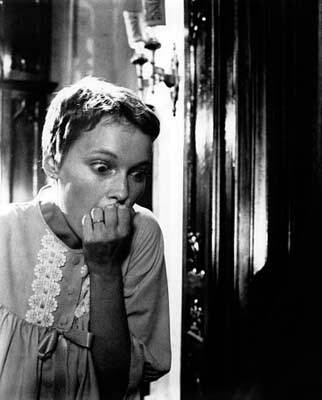 The mystery of mistaken identity barely lasts for the first half, destroying a plot point with great potential. The climax of the novel occurs halfway through, making the last segment of the novel seem like a boring and overly descriptive coda. Tension also, was not well handled, lagging for the majority and quickly skipped over in favour of descriptive interior dialogue. I can’t help but feel that romance fiction deserves more than this. Where was the fun? There was too much time spent on ‘feelings’ (and not the romantic ones a reader would be interested in! Just whinging!) and not enough time spent on action, intrigue, mystery, and of course, two characters finally falling in love. Romance lovers would be better off with a Georgette Heyer or Nora Roberts number. One star. What did you think of That Perfect Someone? Click on the title to view the catalogue entry and place a reservation! 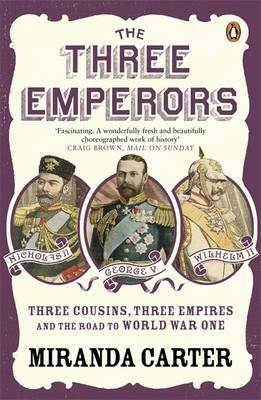 A vibrant, biographical perspective on the first world war, The Three Emperors is a perfect example of what Readers Advisory calls a ‘doorway’. A book like this can introduce a fiction lover to the intrigues and fascination of histories and topical non-fiction. When people think of interesting characters, an intense and complex plot, and intriguing cultures and places, they usually don’t think of picking up a history book. Well, now is the time to do so. Miranda Carter flawlessly captured the chaotic mess that lead up to World War 1. Following the lives of three imperial figures; George V, Wilhelm II and Tsar Nicholas II, she shows us the fatal paradox that led to war. We see the ideological legacy of Queen Victoria, that royalty should play a vital and overarching role in foreign affairs, colliding with a world that embraced democracy, technology, and an increasingly educated body of citizens. Each of these monarchs, driven by the idea that their blood alone justified their rule, failed to realise they were missing the vital skills to manage government alone. These sentiments are illuminated beautifully with Carter’s examples: George V berating his prime minister over waistcoats in the House of Commons, Wilhelm II scribbling ‘Impertinent!’ over foreign missives that disagreed with him, and ministers scrambling to see Nicholas II at the last moment, knowing that the tsar, like clockwork, would support the last person to speak with him before a meeting. Carter presents World War I as a reorganisation of modern society, in which the old order has to be fully restructured to avoid bloodshed. Fans of the historical works of David Starkey and David Hill will certainly like this one! If you’re a reader of historical fiction, this book might introduce you a whole trove of books you hadn’t though of before. Five stars! 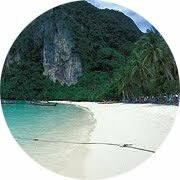 Tropical islands, secret getaways, ancient temples, modern vistas. We can't always get away for some r + r, but there's a veritable trove of travel literature to soothe the adventurous soul. Check out our top 6 picks below. Click the title to check availability at Camden and Narellan branches.